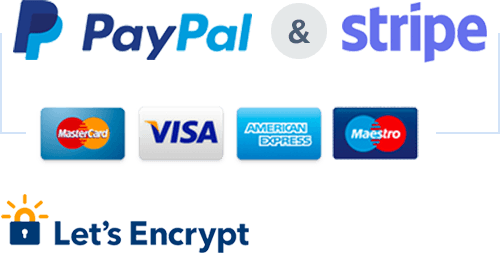 Now, you’ve installed WP Simple Pay Pro, activated your license and connect your Stipe/PayPal account. Now, it’s time to create your first payment form using WPPayForm plugin. Here, we are using Test Mode for Stripe and Sandbox Mode for PayPal in order to demonstrate all the guidelines using the plugin. Make sure that you have your payment confirmation pages excluded from being cached. In this post example, you will see how to create a simple one-time payment form that collects a few fields in addition to credit card payment information. To know more about what types of form configurations are available, please visit our demo site. Log-in to your WordPress admin panel, then go to WPPayForm Pro. WPPayForm Pro → Add Payment Form. Click on the Add Payment Form button located on the top right corner of the plugin dashboard. A pop-up will appear with input field to provide the name of your payment form. Type the form name and click on the Continue button to move the next option. After clicking the Continue button, you will be taken to the Form Fields tab of the plugin. While you are here, you will find 3 different sections named Product Fields, Payment Method Fields, and General Fields. Now, select the Product Fields section in the right sidebar panel. Click on the Payment Item option, then it will open up with a bunch of options for payment item and submit button to set up and specify the product you want to sell. Here, you will get options to set the product label, name, price of the product. You can add multiple items to your list as well. At first, you need to provide the Field Label with the text Football, then you can enable the required field to make the filling full form mandatory. Next, choose the Single Item from the Payment Selection Option. Now, you need to fix the price of the plugin, by default the price shown 10.00, you can set it according to your product. Then you will have the option to show the product name with the price on top of the form. You can enable or disable the option. Then click on the Update button. Next, go to the General Fields section and click on the Customer Name, Single Line Text, and Customer Email input fields. You can just click or use drag & drop for adding this input fields. Now, customize the Single Line Text input field, to do so, click on the down arrow icon located in the right side of the field. Then, you will see that a panel will expand with a set of options. Customize the Field Label with the text of Size of the Ball, type text for the placeholder, make the field required. You also provide a default value for the input field. Last, click on the Update button to finalize the customization. After adding and customizing all the fields, you need to you need to click on the Update Fields button. Now, you need to add the payment method of the create form. To do so, you need to go to the Payment Method Fields section located in the right sidebar. Then click on the Card Elements Stripe option. You can transact with any credit card or debit card through Stripe. Then a payment panel section will be added to the payment form. Next, click on the down arrow icon to expand the payment panel section. You will find several options out there, you can provide new field label or can keep the existing one. Next, click on the Embedded Checkout Field from the radio button down there from Checkout display style option. You also can add postal code through verifying the process. Then click on the Update button. Now look at the preview of the payment form you have created on your site. Once you have created your first payment form, you need to publish it on your website so that your clients can pay you for your respective product or services you offer. To add the payment form on your site, you need to add your created payment form on a certain page. To do so, you require to embed the shortcode of the created form on the respective page. After embedding the short-code to a certain page, you will see the payment form will be displayed on that page. Here is the output of the page with a preview look. Now, you can use the form to get paid from your clients for the products and services. This is how you can create your first payment form using WPPayForm plugin that is pretty easy and comfortable.